Home » Blog » News » 2nd Contest!!! 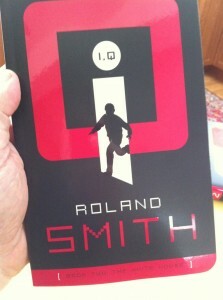 Prize: Another signed copy of I,Q Book Two: The White House. Our first contest has concluded and a winner has been chosen. For those who didn’t win don’t despair. The second contest is up with another question from I,Q Book One: Independence Hall. The prize is a signed copy of I,Q Book Two: The White House. Just go to RolandSmith.com, find the Contest! link on the right side of the Moleskine Journal, click it, and you are there. Follow the directions carefully. Good luck! I can’t find this contest. The only contest out is the Tentacles book contest. I am dying to read the next book! I run a new contest every two or three weeks. Just one contest at a time though. The current contest is for a signed copy of Tentacles. The signed book varies depending upon what I have on hand to sent out.